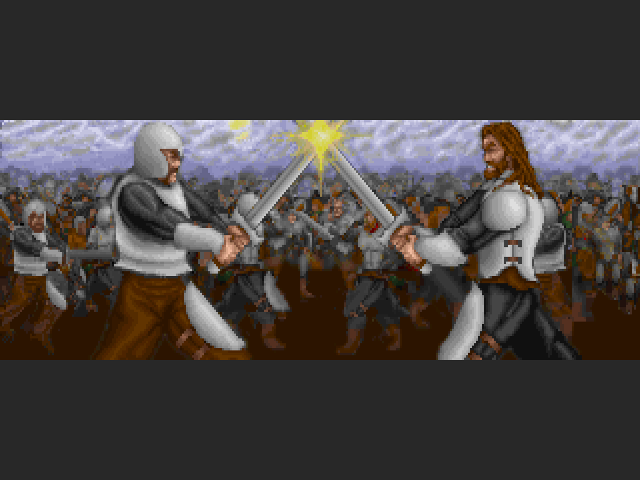 Once the demo files unpack, run MANACCOM.BAT to install the demo. 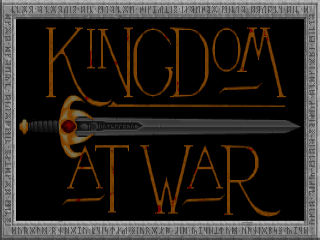 If you like turn-based strategy games, then Kingdom At War is for you - a strategy game set in a world of swords and sorcery. 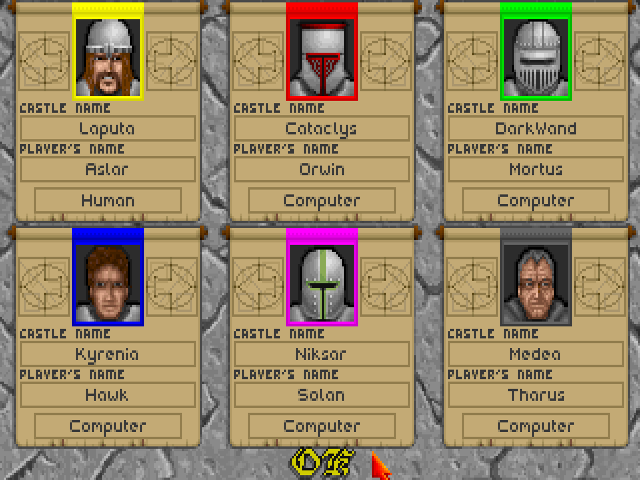 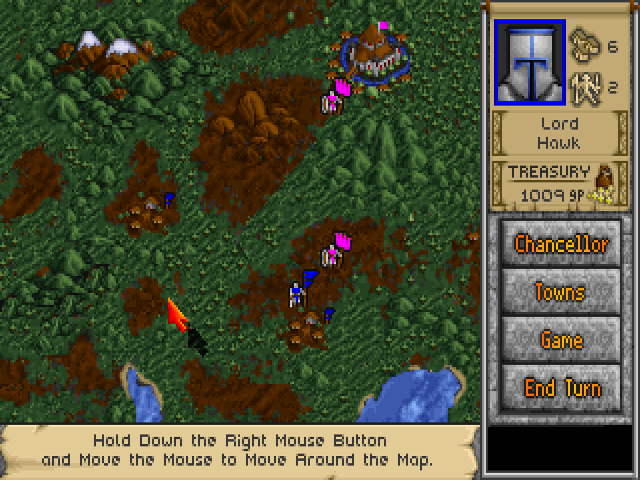 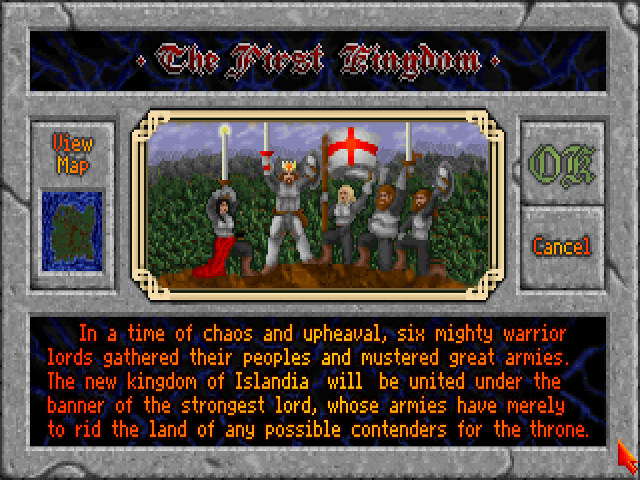 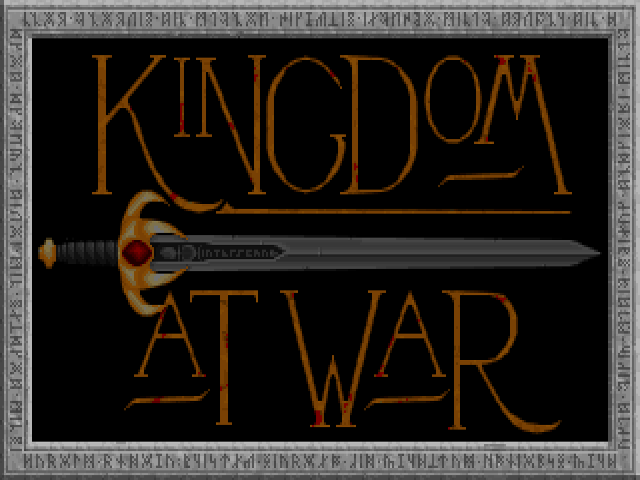 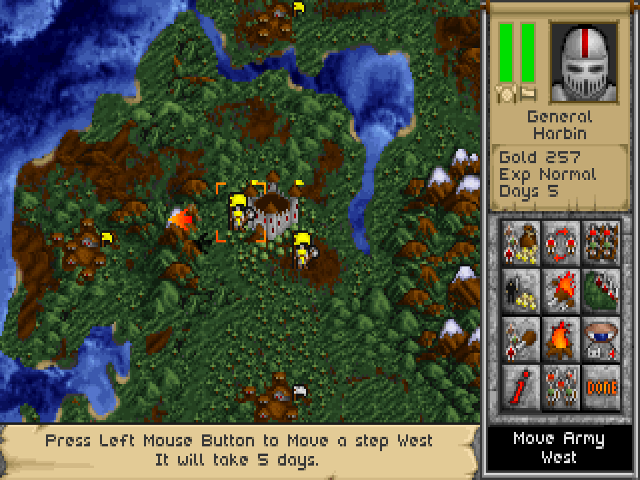 Up to six players can compete against each other or the computer to take control of the kingdom, raising mighty armies to capture towns and lay waste their opponents' castles. There are taxes to be gathered, fortifications to build, and tourneys to hold - attracting the best warriors to your banner. 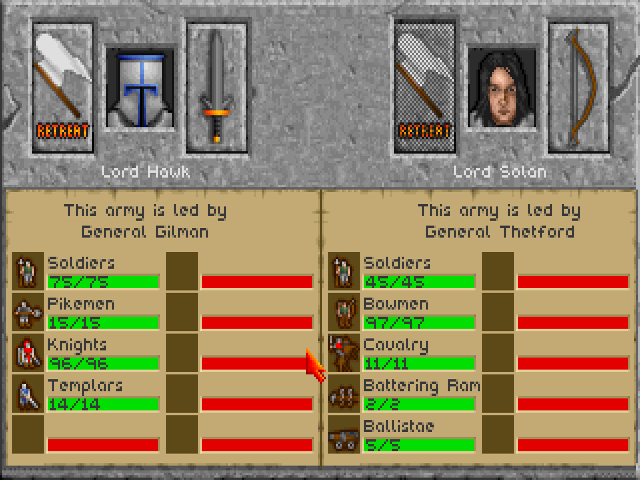 With each town conquered comes more gold to create elite armies or build siege engines. 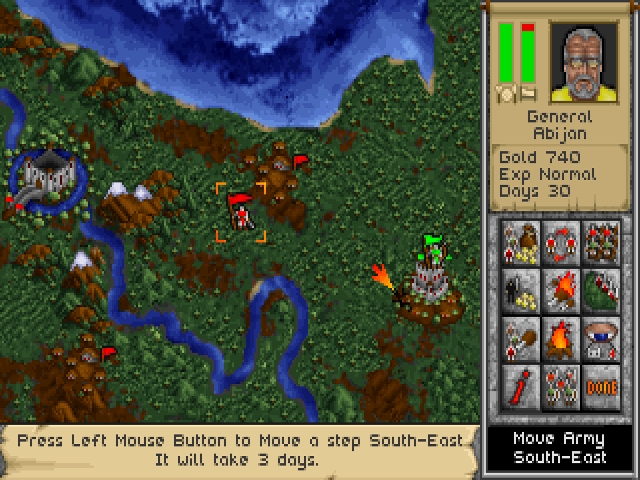 You must be a master of both strategy and tactics to win control of new lands and maintain those already captured.